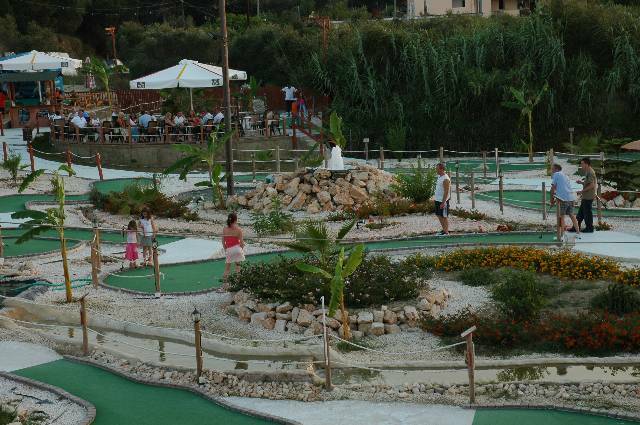 Me and my family love the fantasy mini golf in Tsilivi, we go there most years! The volcano is amazing, it is very clean and is very fun! Can't wait to go again! a great mini golf set up, very well maintained, three differnt coa**es, set in well manicured surroundings. 5 euro per person per round, but if you have second game on the same day afater 6pm you get it half price. flood light so you cam play after dark, and as there is a bar at the entrance (molly malones) you can take a drink round with you as play. Normally I don't bother with these review things but when I seen it I just had to comment. This Krazy golf is great. True it's got some dodgey bumps and odd angles, but who cares, that's what it's all about, you think you're playing T.Woods or something? Get real. 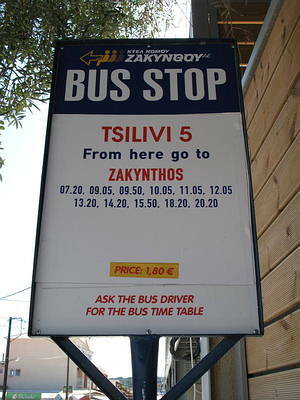 Yeah I've been to Zakynthos twice now and the 2nd time they added an extra course so that there's three now. It's the most fun ever. And for later hours the adults get a great kick out of it after a few drinks. I did all three courses. Great for friends to sort out a best of three over the stay there. Had great craic at the bar also. I'm giving it 9 because I have seen better greens elsewhere, but it's still the best over all others that i've seen. 3 of us played the longer course its my hubby that plays golf but wahey I got a hole in one!! Our daughter enjoyed this. Also went with my son and his girl 5 of us played the shorter course too we always go here when inTsilivi its a fun way to pass time.Friendly staff here too. been 2 years running, great place and lots of fun (even if you do keep losing). kosta and kris and staff are really friendly, nothing is a bother. wish it was time for this years hols. can anyone give me e-mail address for molly mallones bar at fantasy golf, please as i was given it but lost it. How far away from alikanas is it? The best mini golf i have ever been too. Just by way of an update a 3rd 18-hole course has been added last week. The Green course includes multi level holes and a water spewing volcanoe! 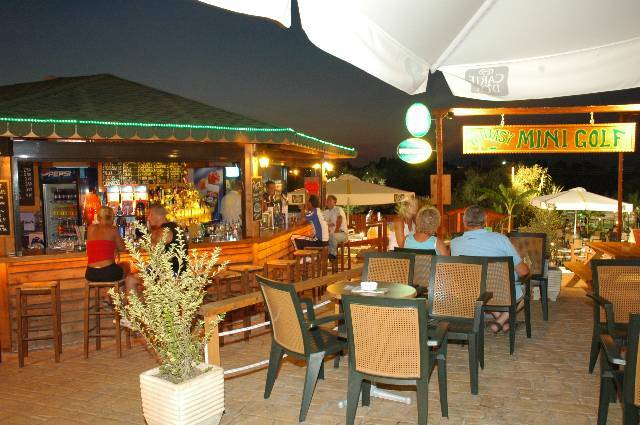 Me and 12 members of my family have just got back from Tsilivi, we had a great time, The mini golf was great, would recommend this 100%, the bar and service was excellent too, the staff were great, a great big hello to Thana and Nic for looking after us and making us feel really welcome, we visited the golf daily, and also at night for drinks, its a relaxing place to be. I tried this place with my wife and son. Was great to play early in the afternoon while my mrs was sunbathing and then before dinner again some days. hole 5 is a laugh. my advice is to keep your scorecard for the second time you go back as we got a discount. enjoy! They even charge over 10 yr olds adult prices. 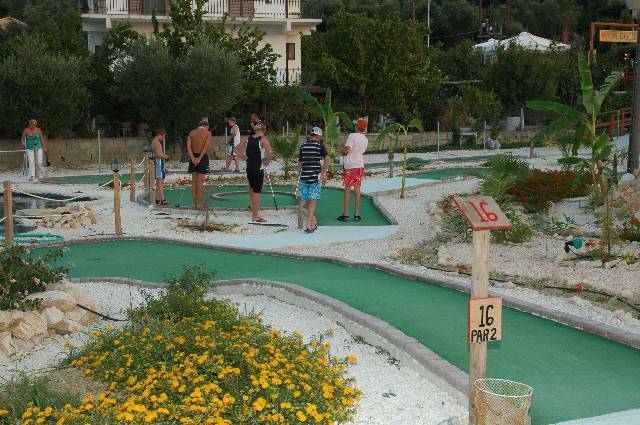 Hi Lindsay, The mini-golf course is located on the main road through Tsilivi. It is just past Plant Pub and before you get to the Red Lion pub. It is on the left. Well worth a game! 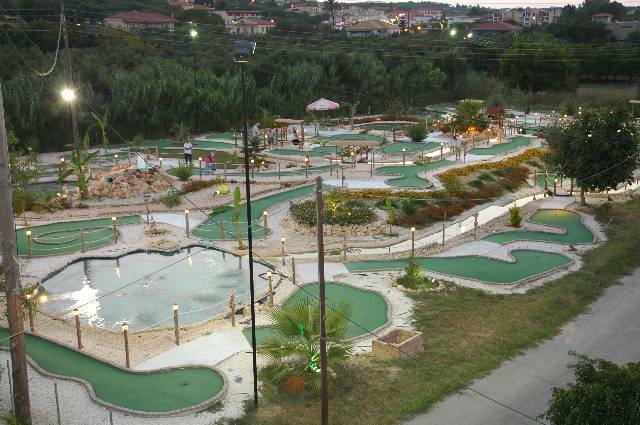 I've travelled all over Europe and I always look for the mini golf courses. This one has two huge 18-hole courses and is equal if not better than the ones I've seen in Spain and Florida. We went there 5 out of the seven nights we were there and the people that own it were very friendly and always gave us a discount for coming back. They even gave us a free game on our last day! They hadnt built a bar yet, but they promised it would be ready by next april. Looks as though it's fairly new so might look better next year when it's been developed more! Is open until quite late at night and both times we went it was dark. Had a fun game of crazy golf and went back a second time because if you keep your score card from your first visit you get money off. Made a nice change from the restaurants and bars. This is a new course and it is brilliant at night! 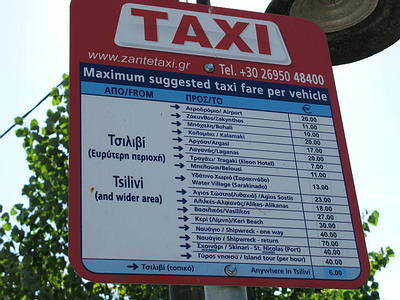 We paid 6euros each, but it was well worth the money.